Applying for a home loan through Apex Lending is inexpensive, comfortable, and completely transparent. We can get your rate without affecting your credit score. Call us at (888) 428-1480 and have one of our experienced mortgage bankers assist you through the process. To receive a loan from Apex Lending, borrowers must have reached the age of majority in your state, be a U.S. citizen or documented U.S. permanent resident, have a verifiable income, a bank account, a valid e-mail address and meet our credit criteria requirements. Our team will help you to determine if you are qualified. Your Apex Lending interest rate is determined using several factors including your credit profile, payment history, and the ratio of debt to income. To qualify for the lowest rates, applicants must have excellent credit. What is Mortgage pre-approval vs. pre-qualification? Pre-approval means that you’ve provided enough information to the lender to move forward to the underwriting stage. Pre-qualification means that you’ve provided enough information for the lender to provide your interest rate and total loan amount. How can you pre-approve me without my Social Security number? A soft inquiry can be run without your Social Security number to see if you meet the prequalification requirements, which will not affect your credit score. Can I have a co-signer/co-borrower? Yes, home loans do allow co-borrowers on home purchase and refinance loans. A co-borrower with good credit history could result in better loan terms. A co-borrower would appear on the property’s title with the primary borrower and would be equally liable for the loan. To complete the loan application, you will need to provide your Social Security number, bank account information, and employment details. We may request that you supply supporting documentation for the information you enter in your application. Examples of this information include a government-issued ID, bank statements, W2, or recent pay stubs. What is an APR? How is it different from an interest rate? An Annual Percentage Rate (APR) is the cost of borrowing every year. An APR includes fees, while an interest rate does not. An origination fee is a fee charged by the lender to process a loan. Origination fees range from 1% to 5% of the loan amount, depending on your loan grade. This fee is deducted from the loan proceeds, so you will not pay anything out of pocket. If you are using your loan proceeds for a specific purchase, be sure to borrow enough to cover both the origination fee and the purchase. Yes. Apex Lending may require additional income verification documents to confirm approval for self-employed applicants. I just got a new job. Can I still get approved? This will depend on the situation. Generally, lenders like to see a steady job history in the same field, but a change to a better position may be helpful. Speak to one of our representatives about your specific circumstances. How long will it take to get my mortgage? The complete process, from application to closing, usually takes around 30 days. At Apex Lending, we work hard to expedite that process, getting you into your new home faster than the competition. Apex Lending uses your credit profile, including but not limited to, credit bureau reports, payment history, outstanding debt, and credit scores to screen applicants for pre-approvals. However, if declined, a letter will be sent to you within 30 days detailing the reason for denial. What is the underwriting stage? The underwriting stage of the mortgage loan application is the period when Apex Lending reviews your application for accuracy and validates any supporting documents received. The length of the verification stage varies but is typically approximately 30 to 45 days. 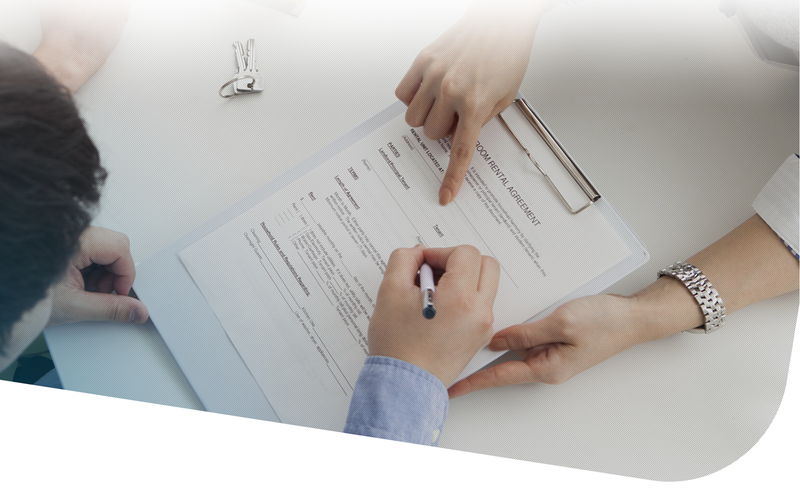 The best way to help us complete the verification stage is to provide accurate information in your application and to submit the required documents as quickly as possible. What should I do during underwriting? We’ll keep in touch with you, and let you know what documentation we need from you. But don’t make significant changes. Don’t change jobs, make any large purchases, or suddenly pay off a significant debt. Big changes like this can delay your closing. During the underwriting process, you’ll need to get an appraisal on the property. An appraiser will consider other homes of similar size in the area, and any special amenities of the house. This is required to ensure that the loan amount is not higher than the value of the home. Shortly after having an offer accepted, you’ll need to get a certified inspector into the property to check on the structure and systems. The seller is supposed to disclose any problems with the property, but an inspector may find issues that the seller didn’t know about. This is extra insurance for you, the buyer, to make sure that there will be no surprises when you move in. How do you verify my information during underwriting? Apex Lending verifies the information you enter in your application by using a variety of methods, including information from credit bureaus and other electronic data. We may require you submit copies of documents such as your driver’s license, recent pay stubs, and bank statements. We may also contact the employer you list in your application. What will you do with my bank account information? Closings costs can range from 2% – 5% of the house purchase price and may include brokerage fees, real estate agent commissions, title and escrow fees, title insurance, and inspection fees. These fees may be split by the buyer and seller, or you may be able to negotiate for the seller to cover the fees. You’ll need a government photo ID, as well as a wire transfer or cashier’s check for your portion of the closing costs. You’ll be informed in advance of the amount you’ll need at closing. How can I withdraw my loan application? You can withdraw your application any time before it is submitted for funding. If you are thinking about withdrawing your application or have any questions, please call us at (888) 428-1480. How do I make my mortgage payments? Temporary coupons will be included in your loan package. Send a coupon in with each payment until you receive an official notification from the servicer of your loan. The servicer of the loan may provide their payment coupons or may provide instructions for online payments. Can I choose my payment due date? All mortgage payments are due on the first of the month. Private mortgage insurance, or PMI, is security that you pay to your lender every month if you pay a reduced down payment in some circumstances. For example, if you get an FHA loan with a 3.5% down payment, you will have to pay private mortgage insurance for the life of the loan. 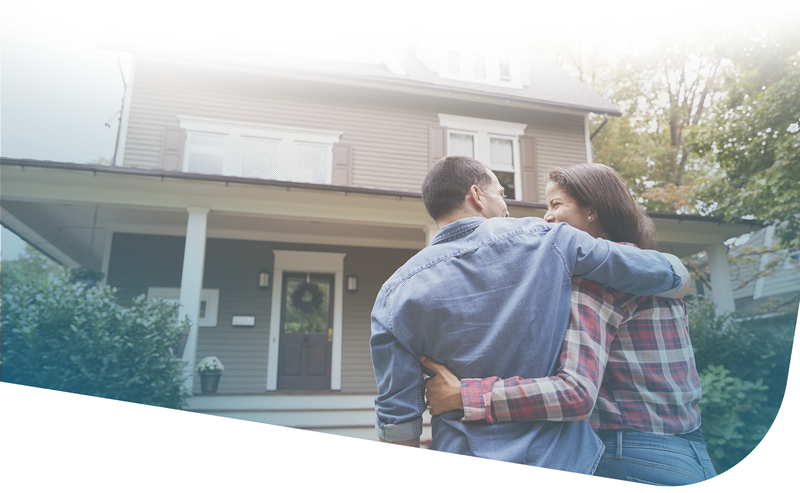 Once you reach 20% equity in your home, you can refinance with us so you won’t have to pay PMI anymore. Escrow is a holding account that your loan servicer keeps on your behalf. When you make your monthly mortgage payments, you will also make payments toward your home’s insurance and property taxes. Then, your loan servicer will make your annual insurance and tax payments on your behalf. This is an easy way to make sure these amounts get paid and prevents sticker shock at the end of the year when a massive tax bill becomes due. What if I have a financial hardship and cannot pay? Please contact us immediately (888) 428-1480 if you are experiencing a financial hardship that affects your ability to repay your loan. What happens if I don’t make my payment? If you don’t make your payments, there will be a hold on your credit. More importantly, you may put your home in jeopardy, as all payments must be made on time. If you are having difficulty repaying your loan, please contact us immediately at (888) 428 – 1480. What information is provided to credit reporting agencies? Apex Lending reports borrower payment history to the credit bureaus, both positive and negative. Please call us at (888) 428-1480 if you are having trouble making your payments or have any other questions. I’m not comfortable entering my information online. We understand the importance of your sensitive personal information. Please call us at (888) 428-1480. Apex Lending is regulated under the individual states that it originates from, in addition to the Federal Safe Act.